Você é linda is a song composed and performed by Brazilian singer/composer/guitarrist/writer Caetano Veloso. 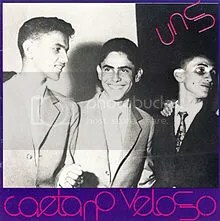 The song is one of Veloso’s greatest hits from his 1983 album titled Uns. It’s impossible to talk about Caetano Veloso without bringing this song into the conversation. This is such a beautiful song. It has a tropical “beachy” feeling. The lyrics are beautiful. Even though the cadence and feeling gets lost in my not so great translation to English, in my opinion, it is a sweet, soothing and peaceful love song/ lullaby. Você é linda is a song that has an important place in my life’s playlist. The reason is a secret… a secret that I am going to share with you all. Você é linda reminds me of something that happened to me a while ago that I’ve never told anyone. It reminds me of what some might consider a silly memory, but it’s a memory that back in the day, infected by the cheesy Titanic bug, I thought would be “poetic” to keep in the ocean of my heart. HA! But now I feel like I can share it. If I don’t this post would be pointless. So what’s this secret mystery? When I was 21, I was blessed to travel to Argentina. It was my first trip ALONE. I was young and naïve. Had a great time during that trip. Fell in love with the country, the cities, the culture, the food, the wine, the lifestyle. I will return someday. To live there would be a dream. Anyway, you can not go to Argentina, and not go to a Tango show. So, on my last night in Buenos Aires, I asked and the people at my hotel hooked me up with a dinner and night tour of the city that included a visit to a Tango show. It was a particularly cold night. I dressed up in my rocking new black pants I bought in Argentina, my off-the-shoulder gray velvet top and my warm and fabulous coat. A small tourist bus picked me up promptly at 7 pm. And the adventure began. After my initial shock I didn’t mind my tour companions. They let me be and I let them be. No need to mingle with “gramps and the gang”. We got to the restaurant and I had my own table. Dinner was great. After having eaten almost all the steaks in Argentina during my trip, I chose to have the most scrumptious almond coated salmon with the most divine wine and Grand Marnier Sabayón for dessert. I was in my own world savoring the dishes. Didn’t mind or notice if anyone was staring. The night tour was great and the Tango show was utterly entertaining. I had my own table also on the right side of the stage. Having danced ballet for 8 years back home, I really enjoyed the artistic side of the show. The choreography was flawless, the outfits were lovely. The show was a voyage on the evolution of Tango. I don’t remember what I ate at the show, I do remember the bottle of Malbec I drank like it was grape juice. I fell in love with Malbec wine on that trip. Halfway through the show a waiter approached me and said he had a message for me from the gentleman on the other side of the stage. I look up and see two men. Both men looked old enough to be my father. I look startled at the waiter and ask what the message is. He hands me a napkin and leaves. It was dark, I had half a bottle of wine on me and I saw this terrible handwriting that I didn’t understand. I focused and started reading but noticed it was in Portuguese. I now know enough to understand the message in the napkin and some songs but back then my Portuguese knowledge was null. I look up and see one of the men staring at me, like he was recording each and every of my movements. I can see him clearly as I write this post. 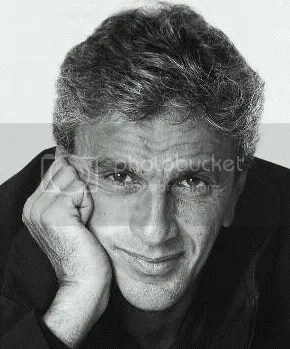 Coming to think of it, he looked just like Caetano Veloso, had the same hair style and eyes as Veloso has in the pic. I didn’t know what to do. I now don’t mind dating older men. But remember I was 21 back then. I was scared. I was mad because he had interrupted my tango show! ha ha ha I was confused. I was trying to figure the situation out when the waiter comes and asks me for the answer for the gentleman. I told him to thank him and that I wasn’t interested. The waiter then said: “Can I have the napkin back?” I said: “What napkin?” And off he went with an annoyed face. I practically ran away from the guy, ran out of the place into my grandma filled bus. And thanked my lucky stars when I finally was safe behind the closed door of my hotel room. Took a long hot shower, and since I had to leave the next day, I finished packing my luggage and before sleeping I cleaned my purse so I wouldn’t carry any additional junk on me. Remember the napkin? It was in my purse. I’ve kept it with me all this time. I am reading it now as I am writing this blog post. So what does all of this have to do with Você é linda the song? The message in the napkin is one of the best compliments I’ve ever got from a stranger. It is a message that I read when I need a confidence boost. It makes me feel like I’m every woman! 😀 It is one of the best memories I have from my trip to Argentina. Every time I listen to Caetano Veloso singing this song, every time he says: Você é linda (You are beautiful), I am taken back to this memory. So as you can see, my life playlist would be absolutely incomplete without this song. Of songs I haven’t yet heard. *Abaeté: a town in Brazil.